This is my first track. 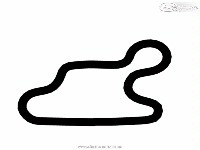 It is a Kart track located in my hometown (Jaguaribe) in the state of Ceará - Brazil. This track is part of the Brazilian national calendar. Thanks to Murilo Zimmer and the extinct BRDEV team for the hints at the very beginning of this project. IMPORTANT: If you have this track already installed, please remove any previous version completely before you install this one. NOTE: this track is RFE Weather Plugin Ready! This track is also available for Reiza Studios' GSC 2013. See my last comment for download link for this game. Corrected the layout to anti-clockwise which is the correct one. Created a second option of layout with the old clockwise circuit named Jaguaribe Reverse. AI cant't keep the car on track under the rain in some mod. I guess it is mod related. Kendo has tweaked the cams and so have I. Please, help me make a decision for next version. If you want to edit these cams and send them back to me for relese with next version I'd be really glad! Ripples seem to have improved AI behaviour. IMPORTANT: DELETE PREVIOUS VERSION IN YOUR GAMEDATA/LOCATIONS FOLDER IF THIS IS THE CASE. LEGAL NOTICE: Feel automatically authorized for converting to other games such as f1C and GP4, redistribute links, edit the track (I'd like to have acess to improvemente on it), and whatever u feel is necessary to do with it. I don't claim any copyright from it. I would just like to have my name mentioned on loading screen. There are currently no setups for Jaguaribe. Add a Setup. Track has been updated. Now the layout (clockwise is corrected) and I preserver the reverse layout. RFE ready. I have the same thing, loads a page saying that the page would load in a few seconds, then it tries to load the page and times out. Have tried IE, Firefox and Opera, all do the same thing. do not worry, I also use firefox and have no problem, maybe it is a limitation from your provider. Linksbucks is just a way to make some money to support my blog. Take a look at your rMail. I clicked on the linkbucks link to download this and got to a page saying that the page would load in a few seconds. Then Firefox blocked the site saying was an 'attack' site and it was being blocked and reported? Any chance of uploading someplace else as I won't be risking that again. I have also made Taquaral and Dijon wet versions! Important: I have permission from Adriano Augusto to release both and I have already done that here... I'm just waiting for rFactorcentral approval of the links. Meanwhile, u can start downloading from this post. Thanks to The lonely for teaching how to make wet tracks. Well, since none of the users in this site makes use of logos, trademarks, names and any references to the companies, teams and pilots of Formula 1 or any another category, protected by national and international laws of copyright, as well as, none of us make use of "alternate" versions of Windows, Office, Photoshop, neither P2P programs and of similar nature for "sharing" songs, videos, and don't even buy "imported" computer parts by underhanded means, we can all sleep without feeling guilty. Therefore, we are all tough supporters of the legality and morality as the noble colleagues above. PS: As there is always some jerk who does not manage to understand, I made use of IRONY in this text. PS2: There seems to be some people in need of dishes to wash or a sink to empty, urgently. Or maybe they need some jerking off! PS3: If you do not like the track, do not download it. That's it!. In fact, don't download anything from this site, otherwise, you'll be breaking down hundreds copyrighted stuff. Go get a life and quit this hypocrisy! Bom, como nenhum usuário do site se utiliza de logotipos, marcas, nomes e quaisquer referências a empresas, equipes e pilotos da Fórmula 1 ou de qualquer outra categoria, protegidos por leis nacionais e internacionais de copyright, bem como nenhum de nós de utiliza versões "alternativas" do Windows, Office, Photoshop, e muito menos utilizamos programas P2P e assemelhados para o "compartilhamento" de músicas, vídeos e afins, e, muito menos, compramos peças de computador "importadas" por vias secundárias, podemos todos dormir sem dor na consciência, pois somos todos defensores ferrenhos da legalidade e da moralidade como os nobres colegas acima. PS: Como sempre tem algum imbecil que não consiga entender, usei de IRONIA neste texto. PS2: Tem gente precisando urgentemente de uma louça pra lavar ou um tanque pra esvaziar. PS3: Não gostou da pista, não baixe. Simples e prático. Na verdade, não baixe NADA deste site, sob pena de estar quebrando centenas de itens protegidos por copyright. Hipocrisia pouca é bobagem, aff. 2 - If u think the track is bad, download is not mandatory! I made it for myself, I share it quase I made the OPTION to SHARE it! 1 - Somenone would never steal my thesis since I publish it in form of articles as soon as they are produced... This is what science is menat to be... and credit is always given properly. I did not say authorship completly inexists, but that money s not the better way to aknowlkedge it since what u create is ALWAYS based on someone else's job. 2 - If u think the track is bad, download is not mandatory! I made it for myself, I share it because I made the OPTION to SHARE it! Besides, u can chage every single texture if u want and share it as an update... as u see in the track info, it is not necessary to ask me for permission, it is compulsorily given, since I decided to put it in the net... and I think if you put something in the net you automatically give it to public domain. 1 - Ninguém roubaria minha tese, uma vez que eu a publico em forma de artigo à medida que são produzidos, o que me garante o direito sobre eles...Essas são as regras da ciência... e os créditos são senmpre dados.Não disse que autoria inexiste por completo, mas o dinheiro nem sempre é a melhor maneira de reconhe-la uma vez que todo o conhecimento produzido é sempre baseado no conhecimento a que vc teve acesso antiormente. 2- Se acha que a pista é tão ruim, o donwload não é obrigatório! Eu a fiz pra mim, compartilho porque fiz a OPÇÃO por isso!Além disso, vc pode mudar cada textura que3 quiser e lançar a pista novamente como um update seu... como pode ver nesta página de informações, não é necessário me pedir permissão para tal pois eu já a concedi a TODOS de maneira compulsória uma vez que deici colocar o trabalho na net... e creio que tudo o que vai pra net cai, automaticamente no domínio público!